If you’re out there thinking that greasy spoon down the block from you is all Chicago has to offer, you’ve got another thing coming. As the home of the Deep Dish Pizza and the classic Chicago Hot Dog, you’ll need to start sampling if you really want to grasp what Chicago style food is all about. 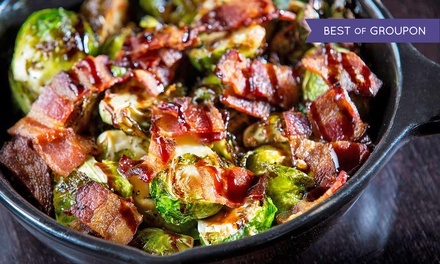 With many neighborhoods to choose from all bearing their own unique culinary traditions, Chicagoans have the luxury of enjoying many diverse dishes to choose from. If you’re your looking to have your cake and eat it too, try these fantastic foodie deals in Chicago for only a fraction of the price! 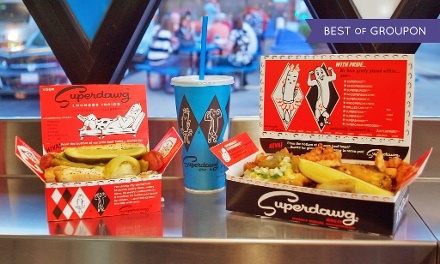 Review: Superdawg’s famous drive-in eat’s has been a staple in the game of Chicago hot dogs for years. Aside from rival Gene and Judes, there is no better place to get a hot dog in the city. Put the top down and cruise on into the drive up ordering stations. Once you’ve ordered your fair share of Whoopskidawgs and Whoopercheesies just sit back and wait for your food to be delivered to you by roller skate! 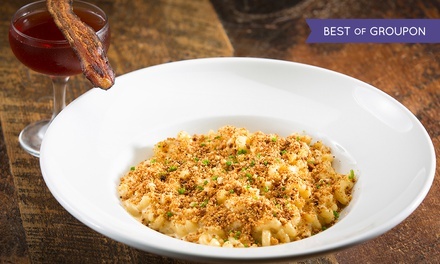 (Yup, this old fashion restaurant still rolls out their servers on roller skates – and you can taste the difference.) Don’t forget to try their crinkle fries and chocolate malts! Review: This neighborhood pizza joint is perfect for all types of occasions. Especially if there’s a game on! 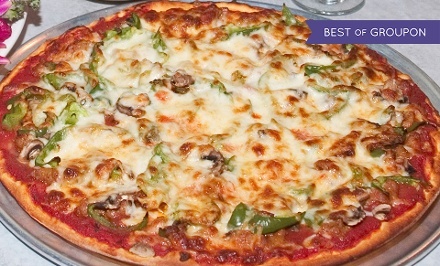 Enjoy the casual atmosphere and friendly wait staff as your classic Chicago-style pizza is prepared. Our readers have recently reported improvements to their pizza sauce so if you haven’t been in a while make sure to get them out for this great deal. Review: Want to have your cake and eat it too? 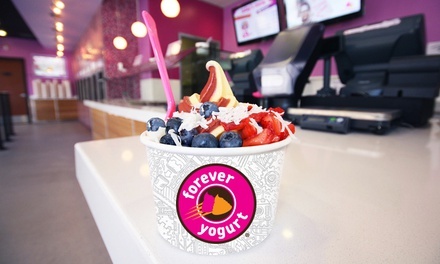 At Forever Yogurt you can do just that! Enjoy “perfectly healthy ice cream” (or yogurt to be more specific) with out having to feel the guilt from breaking your diet. This fun little shop offers the best in frozen yogurt. With a welcoming staff and cleanly environment we give Forever Yogurt excellent marks in service and customer satisfaction. Review: Treat yourself to a night of foodie fun at this lively Japanese Steak House. Kampai offers family style seating at their Teppanyaki styled flat toped grills. If your ok with the social dinner setting, watching your private “master” chef can be exciting – especially for the kids! We recommend the rich Golden Shrimp or our surprise favorite, the Mexican Roll. 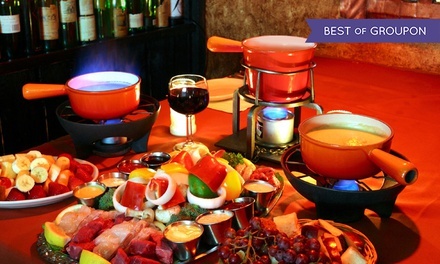 Review: We’re not exactly sure who created art of fondue but whoever you are we’d just like to say thanks! We’d also like to thank the Geja Café for perfecting the craft. If your in the market to eat hearty you can’t go wrong with an extensive combination of meats and vegetables dipped in cheese! This quaint restaurant offers hefty portions of protein and veggies with your choice of 8 different dipping sauces. Just make sure you save room for the chocolate fondue for dessert! 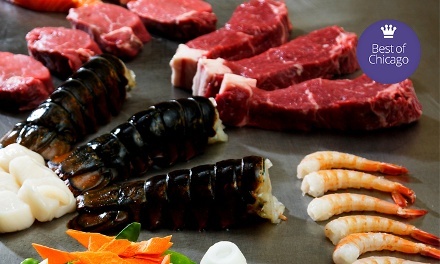 Review: mEAT has an unbelievable line up of succulent skewers including Beef Tenderloin Tips, Shrimp, Bacon Wrapped Chicken, Lamb Chops and more! A unique presentation of the dishes is excellent for sharing. They also have an amazing classic cocktail list. This cozy establishment is great for dates or girls night out with a few close friends. Review: If you’re looking for rustic Italian food look no further. At Bell Bacino’s you will be greeted by a warm staff and seated promptly. As you browse their extensive menu of incredible home made Italian dishes try the sun-dried focaccia bread which is brought out to everyone as a starter. The brick oven pizza is absolutely to die for however our favorite is the mussels and clams dish with the rustica salad. No matter what you order you can expect everything that comes out to be made fresh with a North Italian vibe to it. 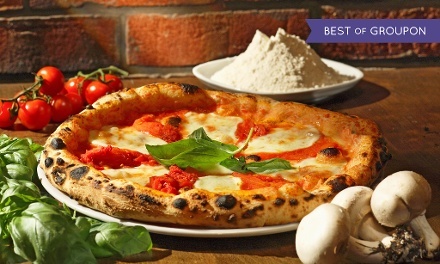 Don’t pass up on this great offer from Bacino’s! Review: The Nouveau Tavern brings the taste of the south to life in this New Orleans themed restaurant in River North. As a popular hang out spot for young urban professionals in the loop, expect to part of a fun and lively environment. Great for people watching! Don’t forget to bring your appetite as there are plenty of favorites to choose from. Homemade biscuits and the Bayou wings are a great start but make sure to leave room for entrees like the Blackened Catfish with rice and red beans or the Crawfish Etouffee. 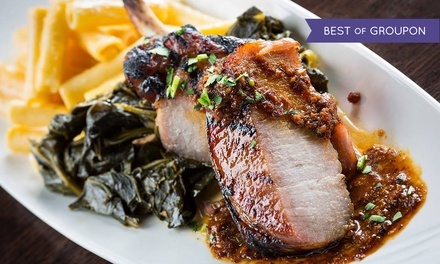 Review: Pack your Tums for this spicy southern classic. The Southern provides a casual dining experience where it is said that “the tallest order of the day is a cocktail, conversation and relaxation.” Using fresh ingredients from local farmers these guys give a whole new meaning to the term southern charm. You’ll love the Fried Chicken Benedict and slow braised pork so much that you’ll think they had it shipped up from Mississippi! If you have enough time for drink try the Maple Bacon Manhattan. Review: Stop by the Bea & Tea shop next time your in the mood for a more healthy on the go alternative. This favorite lunchtime hangout gives customers their pick of dozens of teas including specialties like the Iced Jasmine Green Milk or the popular selection of bubble teas. A super cute décor and a fun atmosphere will have you going for refills. You can even sit down and play a board game or two! 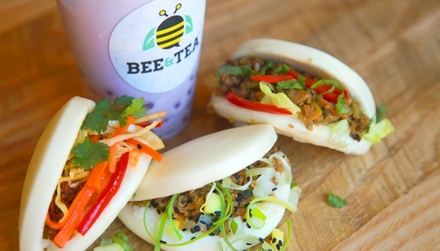 If you’re hungry the Baos are delicious but we think we like the Asian Sloppy Joe the best.